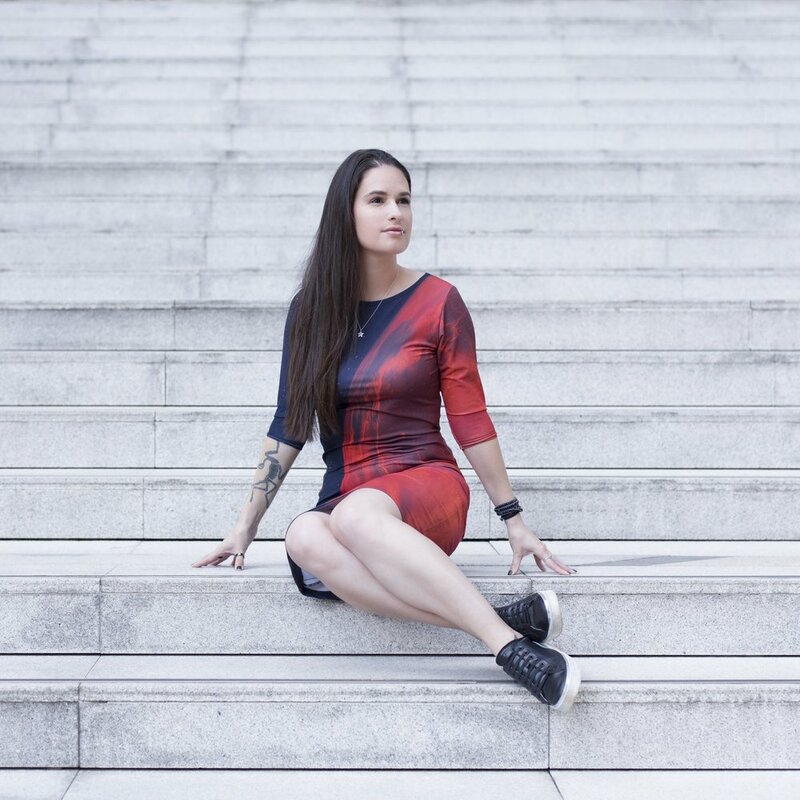 Cara Santa Maria is a Los Angeles Area Emmy and Knight Foundation Award winning journalist, science communicator, television personality, author, and podcaster. Cara is a correspondent on National Geographic's flagship television series Explorer. 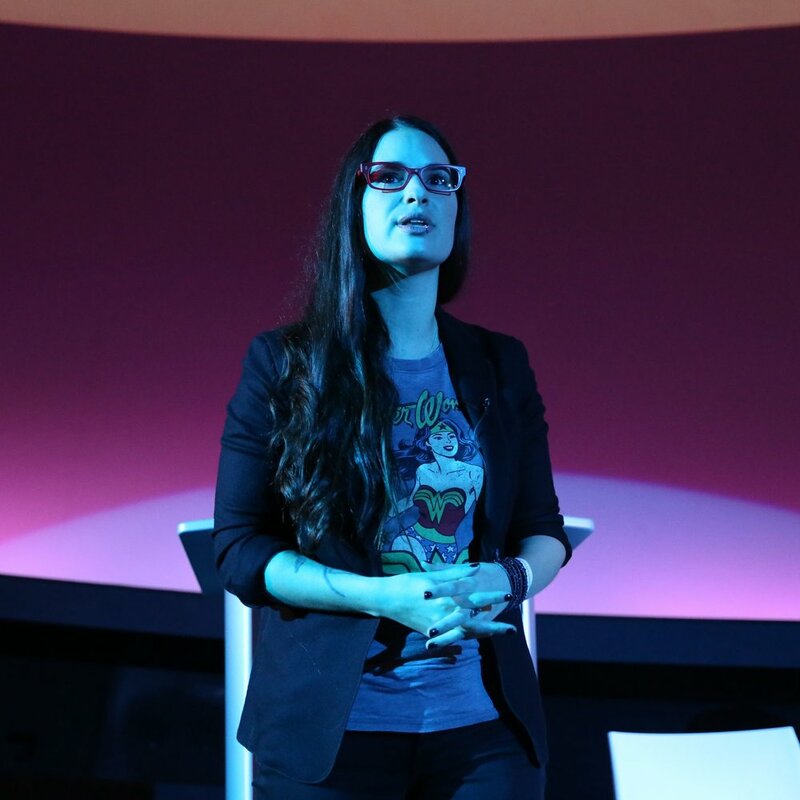 She is the creator and host of a weekly science podcast called Talk Nerdy with Cara Santa Maria, co-hosts the popular Skeptics' Guide to the Universe podcast, and hosts the new podcast Fixed That for You. She co-authored the Skeptics Guide to the Universe book with her podcast co-hosts and is the spokesperson for National Geographic’s Almanac 2019. She is a founding member of the Nerd Brigade and cofounded the annual science communication retreat #SciCommCamp. Previously, Cara was a correspondent on Netflix's Bill Nye Saves the World, TechKnow on Al Jazeera America, and Real Future on Fusion. She also hosted the digital companion series for the popular competition reality show America's Greatest Makers on TBS. Cara cohosted Brain Surgery Live on National Geographic Channel, and she was a cohost and producer of TakePart Live on Pivot TV and FabLab on Fox. Before that, she was the Senior Science Correspondent for The Huffington Post and costarred in Hacking the Planet and The Truth About Twisters on The Weather Channel. Prior to her career in media, Cara taught biology and psychology courses to university undergraduates and high school students in Texas and New York. Her published research has spanned various topics, including clinical psychological assessment, the neuropsychology of blindness, neuronal cell culture techniques, and computational neurophysiology. She earned her B.S. in Psychology from the University of North Texas in 2004, followed by an M.S. in Neurobiology in 2007. She is currently working toward a Ph.D. in Clinical Psychology with a concentration in Social Justice and Diversity from Fielding Graduate University.